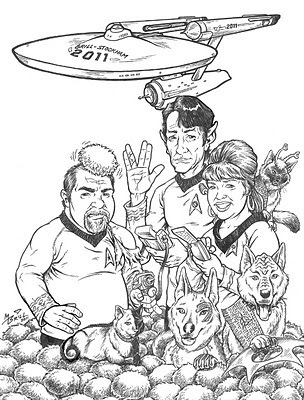 THE BRILLUSTRATOR: 2011 Holiday Card! 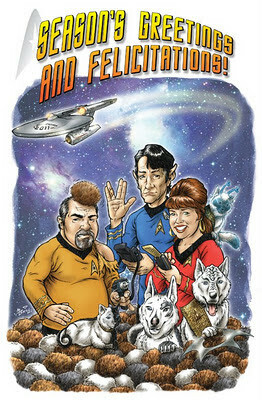 Here is the artwork for my + Bel's + Edmund's Holiday card for 2011. Last year I did a Harry Potter one and what could possibly compete with that other than another enduring franchise. I also considered Doctor Who (and we may still see that in years to come) and a number of other things. I even considered doing a series of "reject sketches" which would show us in increasingly ridiculous themes; for example, the DC Universe, with Edmund as Superman, Bel as Wonder Woman and me as Batman! 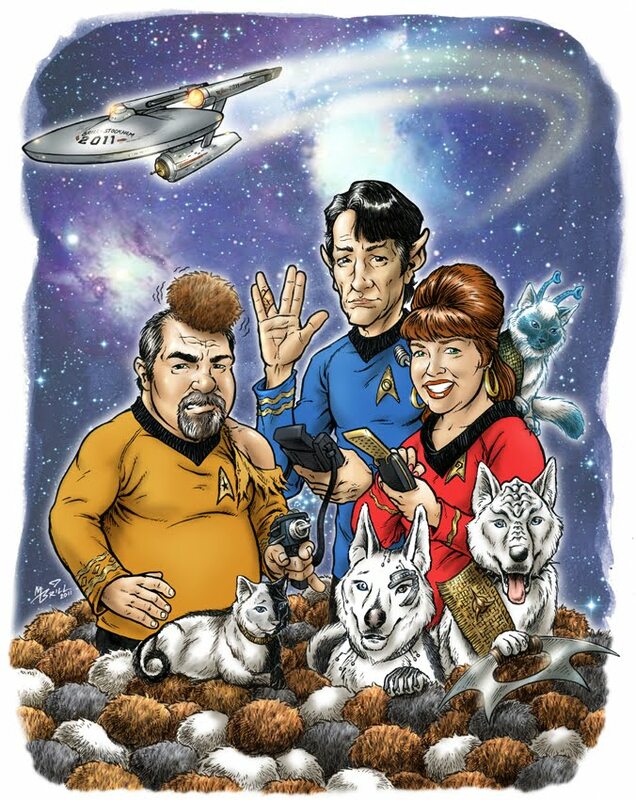 I used lots of Tribbles in the design because what could be more festive, or MORE representative of classic Trek than those cute, little, Kilngon-hating furballs?